Antler is a brand people know and love, and is one of many great British brands we are proud to stock. The original company, started by John Boultbee Brooks in 1865, didn’t become known as Antler until 1920 when they expanded the business into luggage. Luggage was previously made out of hide over a wooden frame, meaning it was heavy and cumbersome. Antler revolutionised the luggage industry by inventing the first soft top suitcase in the 1930s, which, as legend has it, Harrods sold out of in a single day. During WWII they turned their attention to producing haversacks and other military equipment to help with the war effort. It was only once the war was over that they went back to producing luggage, and the 1950s saw a boom in people travelling abroad to go on holiday. Antler were already known for producing the first soft top case, and now they had produced their best selling range, the Airstream. This case combined soft and hard fabrics to make it durable, and Antler also had a reputation for using high quality linings in their cases. By the mid 60s Antler was exporting products outside of Europe, going as far as Japan and Singapore; their success as luggage makers was ever increasing and in 1968 Antler provided their range of Airzip luggage to the British team going to the Olympics in Mexico. Antler continued to explore the boundaries of the what luggage could offer a customer, it is not surprising that they were instrumental in the development of the rollercase, which revolutionised the luggage market. Today Antler continue to work on evolving their cases, and look at how a case can be practical, functional, and importantly, lightweight. With summer is coming to an end, people are still escaping the British weather for sunnier climes, and with the August bank holiday weekend here, now is a great time to buy a new suitcase. We have got some great Antler products on offer including their Aeon Air range in grey, and the Litestream range, back for a limited time. At Philip Morris & Son we’ve been stocking Antler for over 4 years, and know what a quality product they are. This also means we are able to offer you special deals on some of their ranges, in time for any late summer trips away; from the Litestream range we have savings of over 40% on the large and medium rollercases, and the shoulder tote bag. You can also buy the set for £109.95 for even further savings! 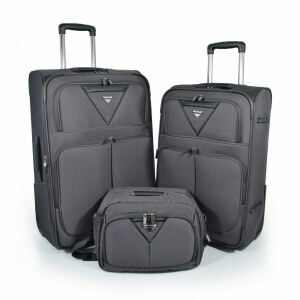 We also have the Aeon Air medium and cabin rollercases in grey with over 50% off, making this a deal not to be missed. Whether you’re going abroad or holidaying in the UK, we have your luggage requirements all packed up, and ready to go. 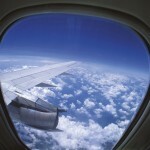 Aeon Air, Antler, cabin cases, holidays, Litestream, Luggage, rollercases, suitcases, travel. Bookmark.